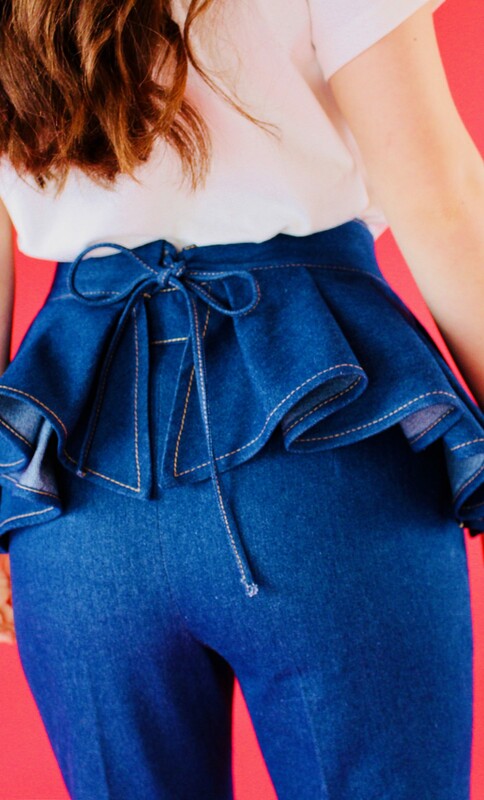 We designed the denim waist belt with peplum detail to beautifully accentuate the waist. 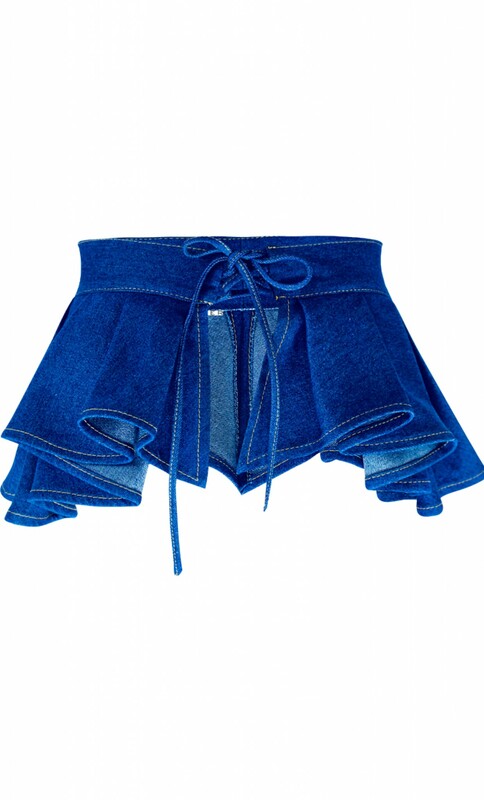 It is made from navy blue cotton and features a lace-up fastening at the back to ensure a perfect fit. We offer you custom tailoring and customization please contact info@byplakinger.com.